Today we're taking a look at Plextor's M8V SSD. This is their latest entry-level SATA SSD and the first SATA drive from Plextor to use 64-layer 3D TLC NAND flash memory. 64-layer 3D NAND flash memory started hitting the market last year, but only a handful of consumer SSDs using the latest-generation flash have launched. All of the early models came from the vertically-integrated manufacturers of flash memory and SSDs. Intel, Micron, Toshiba and Western Digital all introduced drives last year with their own 64L 3D TLC. That flash memory is now starting to be used by the rest of the market, as other brands fill in the gaps left by the biggest players. 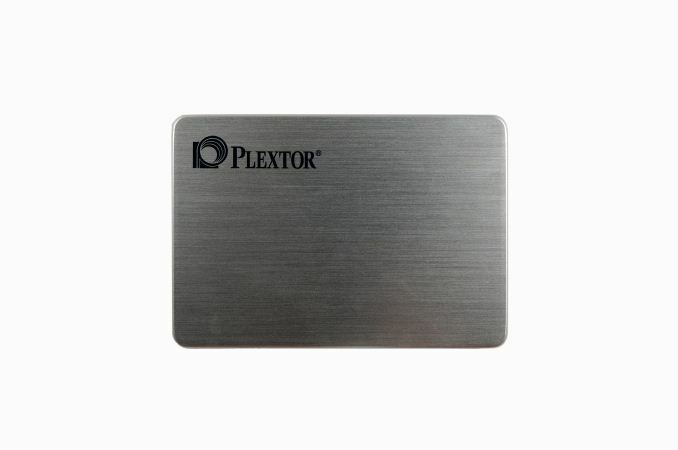 Plextor is the consumer retail SSD brand of Lite-On, one of the largest SSD manufacturers that is not also a NAND flash manufacturer. One of Lite-On's primary ways of differentiating their SSDs is by developing in-house firmware for the SSD controllers, rather than using the reference firmware provided by most controller vendors. This means that Lite-On/Plextor SSDs often have fairly different performance profiles from drives that at first glance seem to be almost identical technologically. The Plextor M8V is a budget-oriented SATA SSD using Toshiba's 64L 3D TLC. Where Toshiba's own TR200 adopts a DRAMless controller to cut costs, the Plextor M8V uses the mainstream Silicon Motion SM2258 controller. 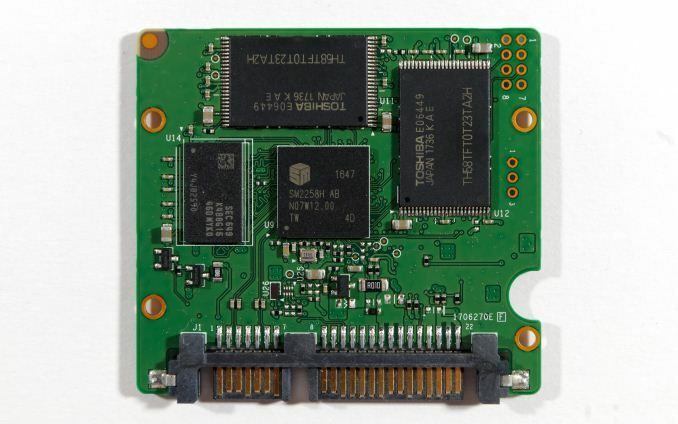 That controller is used in the Crucial MX500, one of the best mainstream SATA SSDs on the market today. A derivative—the SM2259—is used in the Intel 545s. Plextor isn't trying to position the M8V directly against those drives or other top-tier SATA SSDs, but they will still be some of the primary competition for the M8V. The Crucial MX500 will also be one of the more interesting drives to compare the M8V against in terms of performance and power consumption, because the shared controller gives us the opportunity to judge whether Micron or Toshiba's 64L 3D TLC is better. Our test sample is the 2.5" 512GB M8V. The M.2 version should perform almost identically and use about the same power, and the smaller capacities will definitely be slower—especially the 128GB models. The Plextor M8V features a three-year warranty, but the write endurance ratings are more in line with drives that have five year warranties. The M8V uses the same brushed aluminum case that Plextor has been using for generations. Inside, we find a small PCB with markings that indicate the M8V is the alter ego of the Lite-On CV8 client SSD for the OEM market. There are two NAND packages on each side of the PCB, and a Samsung DRAM part next to the SM2258 controller. The M8V does not use any thermal pads. That would be because Windows displays GiB (2^30 bytes) and not GB (10^9 Bytes). During formatting, some space is reserved for the file system. That is not a limitation of the drive, nor does it make the drive have a smaller capacity.